SQLCoffee - What SQL Server components or features are installed? 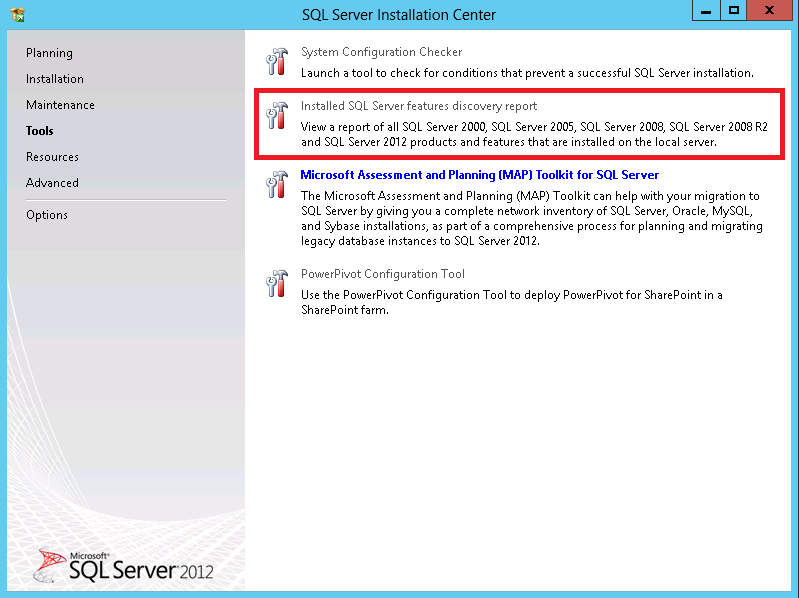 What SQL Server components or features are installed? 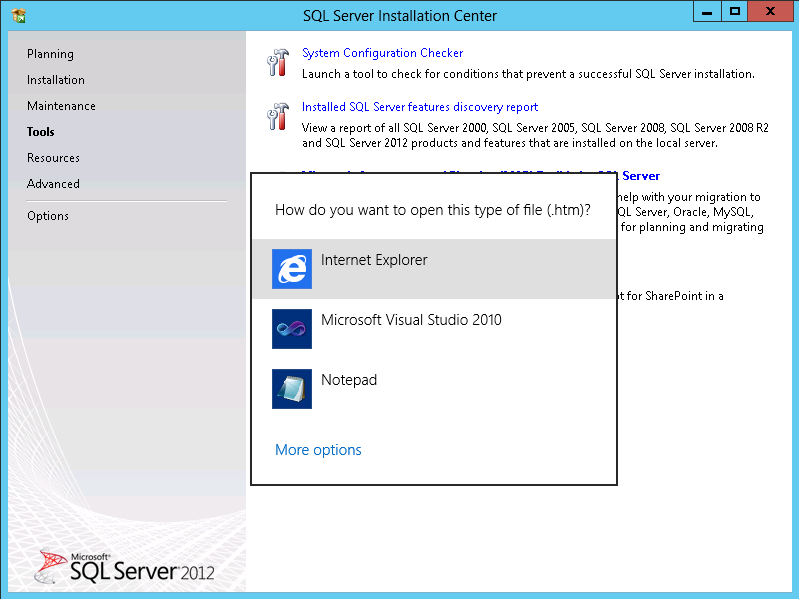 If you would like to know what SQL Server components or features are installed on a specific instance, you just have to launch the SQL Server Installation Center, make a click on the Tools menu (left side), and then choose the "Installed SQL Server features discovery report". If you receive the following screen, please choose the Internet Explorer application. 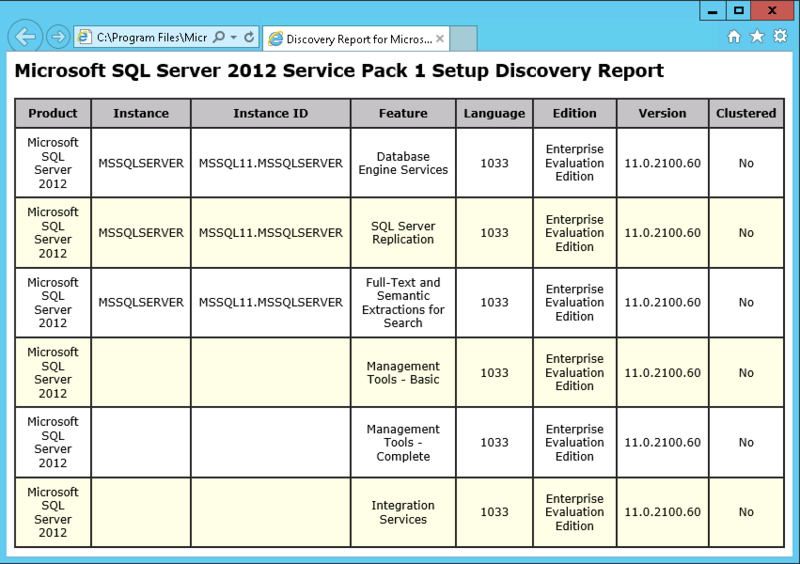 The Discovery Report shows features of all SQL Server 2000 (and later) instances on a computer.